Is It The Blue Waters Of Anguilla? Once upon a time, not too too long ago, my first piece of writing appeared in a magazine. And that magazine was the highly acclaimed Anguilla Life. 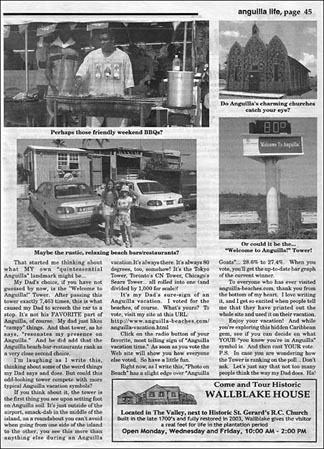 When the fabulous Claire Devener (the magazine's editor) first approached and asked me to write for Anguilla Life, I was honored! 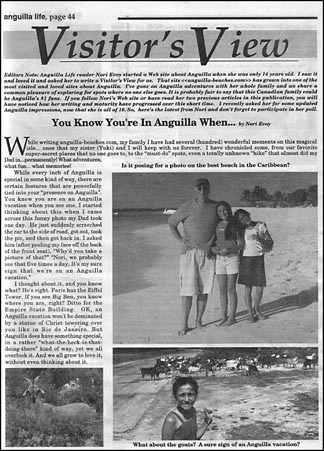 And I felt equally special when she wanted me to write for Anguilla Life's 2005 Winter Edition. So naturally, I accepted with pleasure. 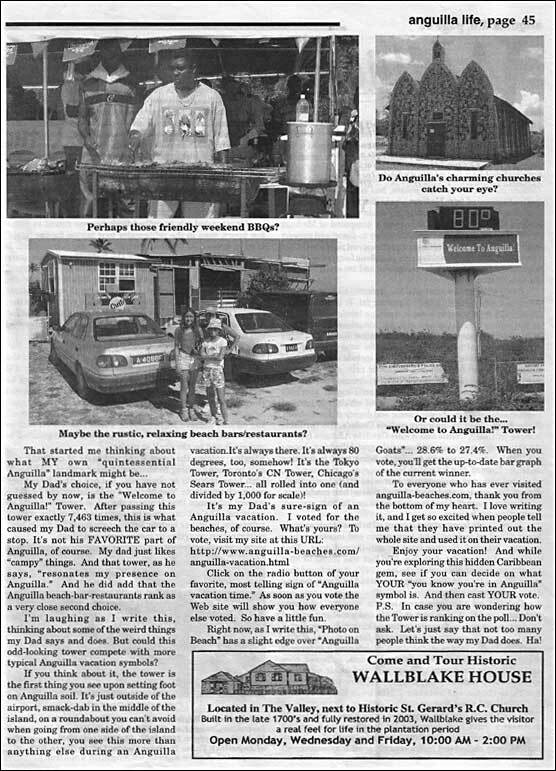 The first time I wrote for Anguilla Life, the article was all about my top ten favorite things to do when on Anguilla. From simply walking Anguilla's beaches to enjoying refreshing drinks at Malliouhana, I covered it all. So, this time, as opposed to writing about what I liked to do on Anguilla, I wrote about what made me realize that I was on Anguilla... what defined Anguilla... a "You Know You're In Anguilla When..." article. If you think about it, most cities have a quintessential landmark. You know you're in Paris when you see the Eiffel Tower. And you're in Manhattan when you see the Empire State Building, of course. What landmark does this spec of paradise have? "You know you're in Anguilla when..."
Could it be posing for a photo on the best beach in the Caribbean? Goats abound. Do they spell "Anguilla" for you? What about those weekend BBQs? Relaxing in a rustic beach bar? For me, nothing says Anguilla like stopping for a picture on the island's fine beaches. Register your vote by clicking on this link! As I read the article, I must say that the first thing I noticed were Ms. Devener's very kind words about the site and me. I can't thank her enough for that, and for all her support. 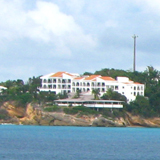 The Anguilla Tourist Board calls Anguilla, "Tranquility Wrapped in Blue." I thought... "Hey, I missed something... what about the blue waters of Anguilla?!" I never included that as a choice to vote on. The aforementioned choices do stand out on Anguilla, but don't the blue waters of Anguilla define the island better than everything else combined? It's not really "Tranquility wrapped in Blue"... it's more like the most perfect turquoise you've ever seen. No matter where you are on the island you are never far from the blue waters of Anguilla. And those shades of blue, that wash right up to those perfect crescent beaches, are the tell-tale sign that you are on Anguilla! 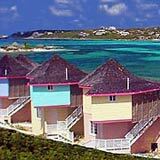 So let's just say that the Anguilla vacation survey is for the "second place prize" after the blue waters of Anguilla.